Exercise isn’t just good for the body—new research suggests it can improve cognition and normalize brain activity. 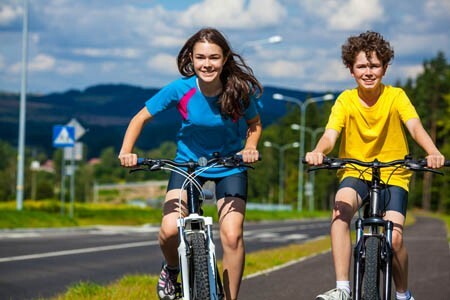 At the 2015 meeting of the American Academy of Child and Adolescent Psychiatry, researcher Benjamin I. Goldstein reported that 20 minutes of vigorous exercise on a bike improved cognition and decreased hyperactivity in the medial prefrontal cortex in adolescents with and without bipolar disorder. At the same meeting, researcher Danella M. Hafeman reported that offspring of parents with bipolar disorder who exercised more had lower levels of anxiety. A plenary address by James J. Hudziak also suggested that exercise, practicing music, and mindfulness training all lead to improvements in brain function and should be an integral part of treatment for children at high risk for bipolar disorder and could be beneficial for all children. Editor’s Note: Recognizing and responding to mood symptoms is key to the prevention and treatment of bipolar disorder in children and adolescents at high risk for the illness. For these young people, exercise, a nutritious diet, good sleep habits, and family psychoeducation about bipolar disorder symptoms may be a good place to start. Joining our Child Network may also be helpful.